The Historic City of Ayutthaya, founded in 1350, was the second capital of the Siamese Kingdom. It flourished from the 14th to the 18th centuries, during which time it grew to be one of the world’s largest and most cosmopolitan urban areas and a center of global diplomacy and commerce. The total area of the World Heritage property is 289 ha. In 1991, listed in UNESCO Heritage list. Plan your trip with Thailand Travel Agency. At present, it is located in Phra Nakhon Si Ayutthaya District, Phra Nakhon Si Ayutthaya Province. The total area of the World Heritage property is 289 ha. 1. The Historic City of Ayutthaya bears excellent witness to the period of development of a true national Thai art. The Ayutthaya school of art showcases the ingenuity and the creativity of the Ayutthaya civilization as well as its ability to assimilate a multitude of foreign influences. The large palaces and the Buddhist monasteries constructed in the capital, for example at Wat Mahathat and Wat Phra Si Sanphet, are a testimony to both the economic vitality and technological prowess of their builders, as well as to the appeal of the intellectual tradition they embodied. 2. All buildings were elegantly decorated with the highest quality of crafts and mural paintings, which consisted of an eclectic mixture of traditional styles surviving from Sukhothai, inherited from Angkor, and borrowed from the 17th and 18th century art styles of Japan, China, India, Persia and Europe, creating a rich and unique expression of a cosmopolitan culture and laying the foundation for the fusion of styles of art and architecture popular throughout the succeeding Rattanakosin Era and onwards. 3. The designated area of the World Heritage property, which is confined to the former Royal Palace precinct and its immediate surrounding and covers the most important sites and monuments and ensures the preservation of the property’s Outstanding Universal Value. 4. The Historic City of Ayutthaya is well-known from historical records. As one of the world’s largest cities of its time and a major political, economic and religious center, many visitors recorded facts about the city and their experiences there. The Siamese Royal Court also kept meticulous records; many were destroyed in the sack of the city, but some have remained and are an important source of authenticity. The same can be said for the testimony of works of art, wall painting, sculpture, and palm leaf manuscripts which survive from the period. Of particular note are the surviving mural paintings in the crypt of Wat Ratchaburana. Careful attention to the accurate interpretation of the ruins to the public for educational purposes also contributes to the property’s authenticity. If you are planning a Thailand Tours then the best time to travel is during the cool and dry season between November and early April. India has a large number of beautiful sights and attractions, situated around every region of the country. These places are the major domestic as well as international tourist attraction and a source of income for the country. Every Indian state has its own treasure to display such as The Taj Mahal, Kerala backwaters, Western Ghats and Wildlife. What To See? 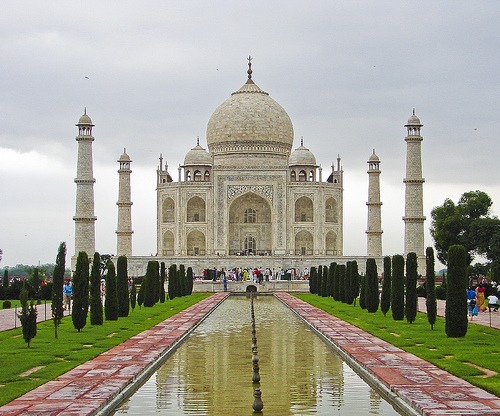 Here are the list of Attractions of India. Explore your India Tours now with exciting offers..!! Book your tour packages with India Tour Packages. The Historical Indian monuments such as Red Fort, The Taj Mahal, Victoria Memorial, Mahabodhi Temple and The Golden Temple are represented rich past and legacy of India. Cultural and Natural Heritage of India are listed as the World Heritage Sites in the country and one of the most visited tourist place. India is the land of the festival and these festivals are an integral part of Indian culture and people. Festivals show the culture of the country and tradition of its people, Every state of India celebrate their respective festival along with some national festivals. Fairs and Festivals of India are celebrated during the change of seasons or religious celebration. Temples in India are spread over almost each and every part of the country, These Religious places are reflected and followers of the Hindu. 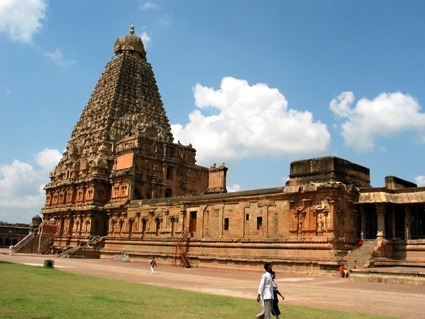 The 1000 years old temples are a major attraction and its architecture highlights the history of Hindustan. Forts and Palaces of Bikaner, Jaisalmer, Jodhpur, Udaipur, and palaces of Mysore are the true reflections of its the royalty. The majestic historic structures are most often vast complexes of enormous dimensions and well-maintained. 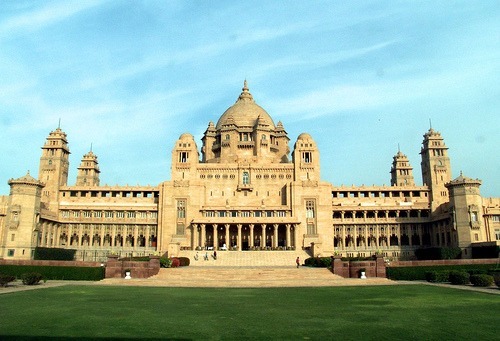 Indian Forts and Palaces are the country’s treasured manuscripts narrating the saga of this Land of Maharajas. Sports are the part of ancient India and its culture, the traditional sport such as martial arts, Inbuan, chaupar, kho-kho, kabaddi, and Kushti The Indian wrestling are some of the most famous games played in India. Indian martial art and Indian wrestling are two oldest games of ancient Indian era. Penang is an island in Malaysia, rich of Chinese heritage attract a lot of tourists by its sacred temples, preserved forests and beautiful beaches. You can go for countless places to visit in Penang, but make sure you visit below-mentioned ones for sure. It is full of fascinating attraction and vibrant history to offer. Plan your Malaysia Tours now with exciting offers! Penang is a great place to visit all year round. Though here is a month wise break-up of the weather so you can plan your trip better: November to January: This is the best time to visit Penang as the weather is very pleasant and conducive for sightseeing. KekLok Si Temple is situated in Air Itam and has a sea facing location. This Buddhist temple is considered to be the largest religious structure in Malaysia. There are around 10,000 statues of Buddha present in this temple. This landmark is one of the top visited places of Penang. Since this temple is built at the foot of Air Itam Mountain, it offers a lovely scenic view. There are number of shops available in the vicinity that offers a variety of souvenirs. The best part about KekLok Si Temple is its architecture that is quite amusing. There are flower gardens and fish ponds in the temple complex that makes this area serene. Batu Ferringhi is a popular town in Penang. The reason for its popularity is due to its seaside location. This region is popular for its classic hotels and tourist resorts.The Batu Ferringhi Beach is well known for jet-skiing, parasailing, deep sea fishing and water skiing. The fish spa service in this area is very relaxing. Batu Ferringhi Beach has a wonderful climate that would surely people the visitor’s mind & soul. The perfect time to visit this area is in the evening when all activities are available for the visitors. One surely has to visit Penang National Park which is spread across 2,563 hectares. This national park was officialised in April 2003 and consists of lowland forests, sandy beach habitats and some open coastal seas. The hike trail in this area is counted as the best activity. It mostly starts from Teluk Bahang and covers the hilly terrain that can reach up to a height of 75 metres. During the hiking session one can visit the fishing village, Pantai Kerachut and even Muka Head which are the prime locations that possess natural marvels. Best Time: 7:30 am- 6:00 pm on all days. Moscow is the capital of Russia. A city of vitality and bustling creative energy with all facets of contemporary culture. The experimentation and imagination is also present at world-class venues, like the city’s theaters and Pushkin Fine Arts Museum. History buffs have always felt at home in Moscow, with its churches, monuments and remnants of the Soviet State, but the dynamic city is quickly becoming a favorite for anyone looking for vibrant contemporary culture. Plan your trip with Russia Travel Agent. If you are planning a Russia Tours then the best time to visit Moscow weather-wise is late spring – early June. This is the season when weather is the most convenient for long hours of sightseeing. The iconic St. Basil’s Cathedral epitomizes everything that Russia once was and is today. Simultaneously mysterious and beautiful, the cathedral’s confusion of patterns, colors and shapes is a perfect example of Russia’s unique architectural style. The landmark church was commissioned by Ivan the Terrible to commemorate a victory, and the masterpiece has become the definitive symbol of Russia. Exploring the cathedral is like uncovering a mystery. Each of the nine chapels reveals a new multicolored pattern, dazzling dome or impressive tower. There is truly no other place like it in the world; legend has it that Ivan blinded the architects after construction so they could never create a more beautiful cathedral. The brick plaza has played host to thousands of years of history. For the most stunning view, access the square from the Resurrection Gate, an updated replica of the triumphal arch that stood at the spot since 1680. Once inside the square, look to the left to see the Kazan Cathedral, a small replica of another historic church. On the right is the State History Museum, a grandiose brick museum with galleries dedicated to different periods in Russian history. On the east side of the square lies the State Department Store, known to locals as GUM. The sprawling store is one of the best places to find fancy souvenirs and browse upscale boutiques. A potent symbol of the Soviet Union. The eclectic mix of architecture reflects cultural shifts in Russia’s history, creating a structure that is at once foreboding and fascinating. The magnificent complex houses not just the Russian president, but also a number of cathedrals and museums that are well worth a visit. The famous Armory Chamber showcases dazzling ancient Russian regalia, gold and silverware and ceremonial dress from many of the country’s rulers. The Annunciation Cathedral, home church of the city’s tsars and princes, is marked by stunningly detailed icons that exemplify Russian medieval art. Other notable sites within the Kremlin include the Archangel’s Cathedral, the final resting place of many tsars, and the Patriarch’s Palace, which houses a vast collection of ecclesiastical artifacts from the 16th century. The unique museum is both a memorial and history lesson dedicated to the millions of people who suffered in the Soviet Union’s labor camps. It may be cold in Moscow, but the nightlife is hot. Whether you prefer downing shots of vodka in a local pub or a more decadent evening of champagne and elite company, the city has an option for you. From ballet to beer and cocktails to cafes, Moscow’s diverse nightlife is sure to please any traveler. Bucharest is the capital of Romania. Bucharest is a somewhat perplexing city, made of a mismatch of eras. It is where the brutal rebuilding phase of Ceausescu is still evident in blocks of grey housing, distinctly French baroque palaces stand near the ruins of medieval courts and churches and where 21st century office buildings create a towering skyline. Taking even a short walk through the city is like time traveling through hundreds of years of history. The charm of Bucharest is revealed by exploring Romania Tours and its sprawling city parks, admiring the works at its excellent museums, and getting “lost” in the gritty yet charming lanes that weave through the Old City with Romania Travel Agent. If you are planning a Travel to Romania then the best time to visit Bucharest is during spring or autumn- April, May, September. Summer and winter are the good seasons for visiting the Prahova Valley. The Old Town is one of Bucharest’s earliest settlements, where structures date back to the 15th and 16th centuries. Throughout time, it was the seat of Romanian princes, a center for trade, a place to worship, and a crossroads for travelers. It managed to survive Ceausescu’s 1980s razing of one fifth of the city to build his vision of a new Socialist capital. After spending decades as a slum, much of the Old Town has been gentrified and renovated. Historic buildings have been gallantly restored, yet other properties are still awaiting their facelift. The contrast gives that much more charm to the pedestrian lanes and cobbled streets lined with mom-and-pop bookshops, theaters, restaurants, and cafés. Home to the Romanian George Enescu Philharmonic, the stately Romanian Athenaeum is the city’s most prestigious concert hall. The 19th-century building, designed by French architect Albert Galleron, resembles an ancient Greek temple with a 41-meter-high dome and a peristyle of six Ionic columns. The interiors feature a lobby of intricately painted gold-leaf ceilings, cascading balconies, and spiral marbled staircases. The 652-seat auditorium is known for its excellent acoustics and its fine art. A 70-meter-long and three-meter-high fresco that winds its way around the circular hall proudly depicts scenes from Romania’s history. Tiny, peaceful, and beautiful, the Stavropoleos Church was built in 1724 by a Greek monk, Ioanikie Stratonikeas. With its intricately carved entrance lined with columns, the Brâncovenesc-style church stands apart as a unique landmark in Bucharest. The Orthodox church features fine stone and wood carvings and a combination of Romanian and Byzantine elements. It is surrounded by a garden courtyard filled with 18th-century tombstones. Inside, several frescoes and wood icons can be admired. The church complex once included an inn and a monastery but both were destroyed. The church itself was restored several times after damage from earthquakes. Sharjah is the arts capital of the United Arab Emirates, and its efforts to preserve the area’s history garnered Sharjah the title of Cultural Capital of the Arab World by UNESCO in 1998. For museum and art lovers, Sharjah is crammed full of excellent sightseeing opportunities. The world-renowned Art Museum is the city’s major tourist attraction and top of most visitors’ things to do list, while the Heritage Area is full of interesting buildings dedicated to Emirati history. With UAE Travel Agent you can explore the full city. This public park, created in Khalid Lagoon and accessed by bridge from the central city Corniche Street, is Sharjah’s top spot if you’re looking for some tranquil downtime to recuperate from shopping and museum exploring. The island blends art and nature into its design and features gardens scattered with modern art sculptures and installations, created by some of the world’s most renowned artists. Perhaps the premier attraction is Al Noor Island’s butterfly house, where an approximate 500 different butterfly species can be seen. Sharjah Archaeology Museum has exhibits tracing the wide arcing history of humanity in the area. Displays in the Stone Age section include numerous flint pieces reflecting the technology of that period and old seashells. There are also ornamental gems and pottery shards from the Ubaid period that were found in Al Hamriyah and confirm the trade exchange of this age with Mesopotamia (present-day Iraq). The Bronze Age Hall features archaeological finds of pottery, metals, stone, and jewelry, while the Iron Age Hall features two of the museum’s prize pieces: a camel statue and a ceramic dome that both come from the Muweilah archaeological site. The museum has done a good job of making its exhibits user-friendly, and children will be kept entertained by a variety of hands-on games. If planning to visit this place then get a UAE Tour Operator to make a best visit. The largest Arts Museum in the United Arab Emirates (for now, until the Louvre and Guggenheim open in Abu Dhabi), this state-of-the-art facility opened in 1997 and features a permanent collection as well as a program of temporary exhibits. Many artworks are by 18th-century painters who visited the Middle East and became fascinated by the natural environment, architecture, and culture. The Ali Darwish gallery contains watercolors of Sharjah. The contemporary section consists of more than 300 works by local, Arab, and foreign artists. If you’re an art-lover on a weekend stopover in Dubai, this is one of the top places to visit. Explore and plan a trip here with a UAE Travel Agency. Exploring Tourism (Ghana) offers reliable custom travel services & tour packages in Ghana. Cape Three Points is at the southernmost tip of Ghana. Explore your tour with Ghana Travel Agency. Book your Ghana Tours Excited price.